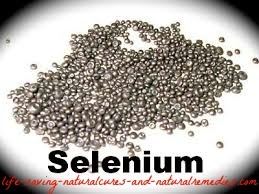 Natural Cancer Treatment - Selenium Blows Cancer Away! Natural Cancer Treatment... The Awesome Power of Selenium! Selenium has now been recognised by the Food and Drug Administration (FDA) in America as an anti-cancer nutrient. For this to happen, there has to be some strong evidence to prove selenium’s benefit in cancer prevention and treatment. The first conclusive study, a double blind study, was performed by Dr Larry Clarke back in 1996 - and the subsequent results published by the University of Arizona Medical School (these results were then published in the prestigious “Journal of the American Medical Association” J.A.M.A). What Dr Clarke did was take 1312 people and give them nothing more than 200 micrograms of selenium daily, then watch them for ten years. The results from this study were truly astounding and even shocked Dr Clarke. But what's even more astounding was that Dr Larry Clarke, the man who physically set up the study, was actually against selenium! He believed selenium was nothing but a total fraud and he set up the study to prove his theory. Instead, it proved just the opposite! And what’s almost unbelievable about all of this is even after the results, Dr Larry Clarke still refused to swallow his pride and not only recognize selenium’s benefits, but also take selenium supplements himself. Now some people might look at this and say it was a terrible tragedy. I look at it and say it was pure insanity! So what other benefits can this remarkable mineral offer us in regards to treating and reversing cancer? Well, selenium also works closely with vitamin C, vitamin E and beta carotene to block the chemical reactions in the body that create dangerous free radicals (free radicals damage our DNA and cause degenerative diseases, including cancer). In addition, selenium helps to stop these damaged DNA molecules from actually reproducing. So in other words, it prevents tumors from even developing. And as a further benefit, selenium has also been shown to aid in the slowing - and even reversal - of cancer progression in patients who already have the disease! "Westerners" don’t get enough selenium anymore because it’s now been processed out of the foods typically eaten and western soils are grossly deficient. This is one of the reasons why American men are five times more likely to die from prostate cancer than Japanese men. The standard Japanese diet contains four times the amount of selenium as the standard American diet. The simple fact is all cancer treatments must be built on selenium supplementation. You simply cannot go without this nutrient if you want to treat, reverse, and ultimately, cure your cancer! You can discover the best sources and dosages for selenium supplementation in our "where to get your cancer fighting nutrients from" article... Where to Get Your Cancer Fighting Nutrients. We suggest you go through this information properly after you've read all of our articles on the various alternative cancer treatments that are available. A Natural Remedy for Rosacea That Gives Amazing Results!